Cebu Pacific Promo Fares 2019 to 2020: Piso Fare to Shanghai! Cebu Pacific Promo: This latest Piso Fare promo (Base Fare) from Cebu Pacific might change your international travel plans. May be you have planned for some trip to another Asian destination, but this is really a surprise to a lot of vacationers! You don't want to miss his Php 1 seat sale going to Shanghai! Do you still have enough a budget to check the European flair of this Chinese city? Maybe you could squeezed in a day or week. Sounds overwhelming? We know that most of you have already took advantage of the previous seat sale, but this time, just try to check if there's still room to accommodate Shanghai! And yes, if you're not coming from Cebu, then, you might as well book a flight going to the Queen City of the South as the base station. Hurry while seats last! Check the remaining number of seats on sale here! You may please do a mock booking po thru cebupacificair.com and mind the travel dates of the promo or visit any nearby ticketing office or agency or call these nos. for inquiry: Call (02) 70-20-888 in Manila, (032) 230-88-88 in Cebu, Hong Kong +852-5803-3088; Australia +612-9119-2956; Singapore +65-315-80808; USA Toll Free Number: 1-855-5CEBPAC. Piso Fare Promo from Manila to Fukuoka, Japan! 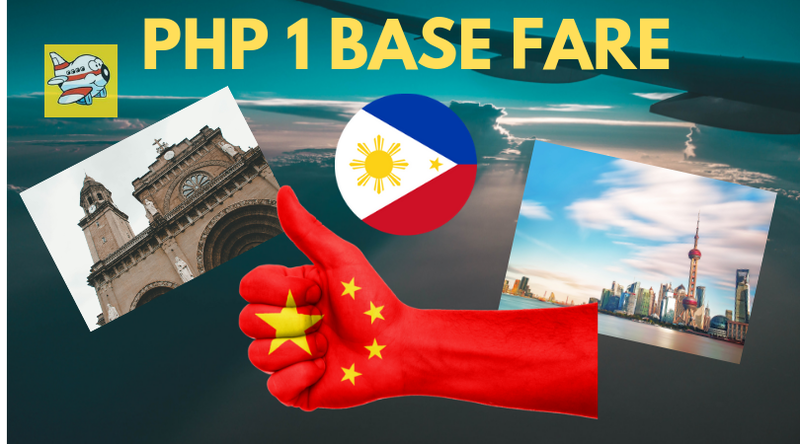 PHP3 hourly flash deals, this 3.3 only!